Geweldig huis dat slapen 10-12, West Omaha, dicht bij everythnig. Very retro decor complete with shag carpeting. It was a very clean completely stocked home. The owner met us at the home. He explained how to enter and exit the home. Nice neighborhood. Neighbors very conscientious of keeping the neighborhood safe. Very well stocked with fresh linens, towels, soaps and cleaning agents. Nice deck outside in the back. Very clean throughout. New furnishings are a nice touch to the retro character of the home. 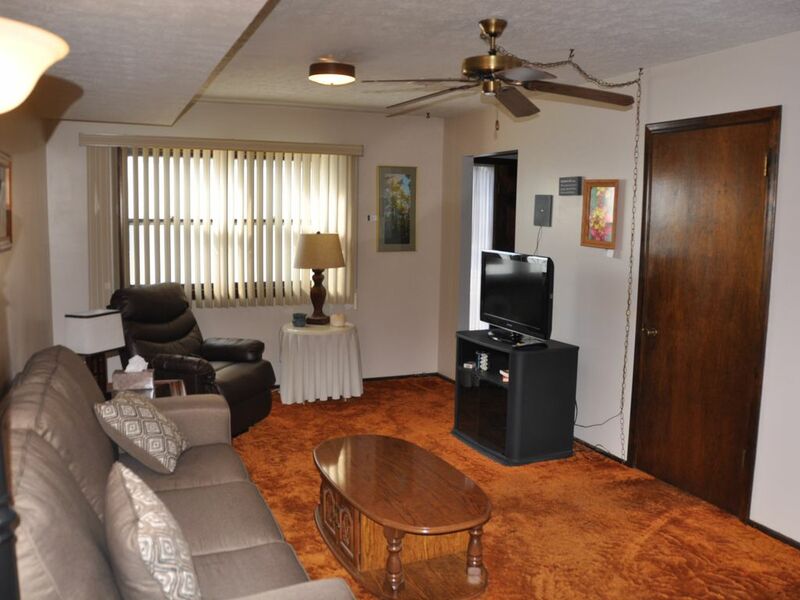 Wallpaper and shag carpet allow us elderly to take a walk down memory lane. You won't find another home so well taken care of from its day. Owners responsive to anything that comes up. like suggestions on what our guests liked. The home has been well cared for over 28 years. We/look forward to you next stay. Don’t let the retro throw you. House was immaculate and well cared for. Appears virtually unlived in. Phillip Rich was easy to work with and willing to accommodate us with any special needs that could have arisen. Easy access to Ameritrade for College World Series.